When things go wrong with rooftop pools and spas, the potential for collateral damage is so great that things get urgent in a hurry -- a point Rob Holmer illustrates through two case studies in which basic errors led to big hassles in one instance and demolition in the other. Rooftop pools and other similarly elevated swimming pool structures present unique sets of considerations that must be thoroughly addressed by anyone involved in their design and construction. As was discussed in the first article in this two-part series (“Elevated Engineering,” click here), it is common for these watershapes to be constructed inside a concrete vault or supported on a concrete structural slab – either of which is usually designed and constructed beyond the pool contractor’s scope or peer review. If the design and construction teams are on top of things, all will go well and these rooftop pools and spas will offer years of exceptional performance. But as the case studies offered below will indicate, missteps at one stage of the process or another can lead to problems – some straightforward, others beyond repair. This rooftop spa was constructed in 2009 as a prized amenity for a new Wyoming ski lodge. The 300-square-foot watershape is three feet deep and features a 26-foot-long vanishing edge leading out to spectacular views. The placement was truly awesome: The spa sits on a third-floor balcony, right above a ballroom/banquet hall. It had been built inside a concrete vault that had been painstakingly waterproofed and included a drainage system set up in accordance with the engineering plans. Everything was just right. The interior surface of the vault had been treated with a water sealant (Laurenco Waterproofing, Mars, Pa.), and the entire interior of the vault – walls and floor alike – had been lined with a geotextile drainage material. Drain inlets were located in the floor of the vault as specified and were intended to collect any water in the vault for safe discharging to a landscaped area below the spa. Finally, all plumbing penetrations through the vault’s walls were sealed using waterproofing sleeves and rings. As commissioned, the system was tight as a drum – but two years later the spa structure was dripping into the ballroom below. 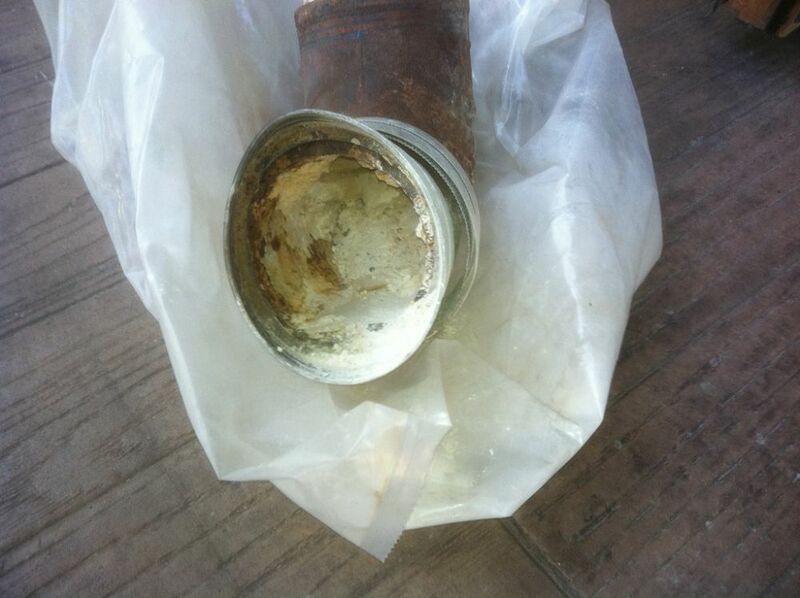 A leak was discovered in the spa at the main drain, where two pipe penetrations had been spaced too closely together to allow for complete and proper gunite encasement. A piece of the gunite between the two pipes had spalled, eventually allowing a small leak to develop. As installed, the large vanishing-edge spa was a thing of great beauty, offering views to match (left). Two years later, however, the spa developed a leak as the result of the spalling of a small chunk of concrete in the main drain’s structure (right) – a construction defect, yes, but one that should have been reparable with a simple service call. This leaking water should have collected within the vault’s drainage system and discharged through the drain pipe to the landscaped area – as designed. An investigation revealed instead that the drain pipe had somehow and somewhere become clogged so completely that no water could pass. As it turned out, all of the structural framing above the ballroom had been protected with a spray-applied fireproofing. At the time of that application, only the drain inlet had been installed below the vault; the pipe connection to the downspout flowing to the garden wasn’t there to close the system. So when the fireproofing was applied, the drain inlet filled with the material. It wasn’t cleared before the downspout connections were made; it hardened and blocked the pipe completely. The leaking water had nowhere to go, so it backed up within the drainage geotextile, climbed the walls inside the vault and, reaching the top, spilled out of the vault and made its way to the ballroom below. Making matters somewhat worse (as if that were possible), when the drain line was cut to assess its condition, all of the collected water in the vault poured directly onto the ballroom floor. Once the problem was diagnosed, it should have been a simple matter to repair the drain line and fix the spall and the resulting leak that had developed in the spa’s main drain. By this time, however, the lodge had retained experts who concluded that the whole spa needed to be demolished and reconstructed. The vault was as well-made as the spa it contained, with the structure thoroughly and completely waterproofed (left) and its base sloping to the drain inlet as specified. The real culprit here was a slug of spray-applied fireproofing that had been shot into the open drain line before the connection was made to the downspout (middle). Before long, enough water had flowed out of the leaking main drain to fill the vault and send water dribbling over the top (note at right the efflorescence high on the spa’s wall) and down into the ballroom below. Two years of litigation ensued that ultimately dragged in the general contractor, the spa installers and a multitude of other sub-contractors. We at Terracon (Sacramento, Calif.) were retained as expert witnesses by the attorneys defending the spa contractor. A settlement was ultimately reached that did not involve removal of the spa – but not before all parties had invested significant time, money and stress in the conflict. In my considered opinion, the contractor who built the spa should have been assigned only a small fraction of the accountability. The spall that had developed in the main drain was a simple warranty issue that should never have grown to become a problem of any magnitude. More to the point, the contractor who applied the fireproofing should never have sprayed material into an open pipe. All it would have taken to avoid all of this trouble was a plastic bag to cover the inlet and a rubber band. And I still wonder at the plumber, who couldn’t have helped seeing the blockage but installed the connection to the downspout without clearing away the debris. Development of the leak was merely symptomatic: The real construction defect was the blockage in the drain line, which was entirely beyond the spa contractor’s scope. Just the same, the risk, liability and blame fell squarely on the spa contractor’s shoulders, and the company paid substantially more than its pro-rated share of the cost of resolving the conflict despite its relative innocence. This vanishing-edge swimming pool was constructed on the rooftop of a beachfront residence in southern California. 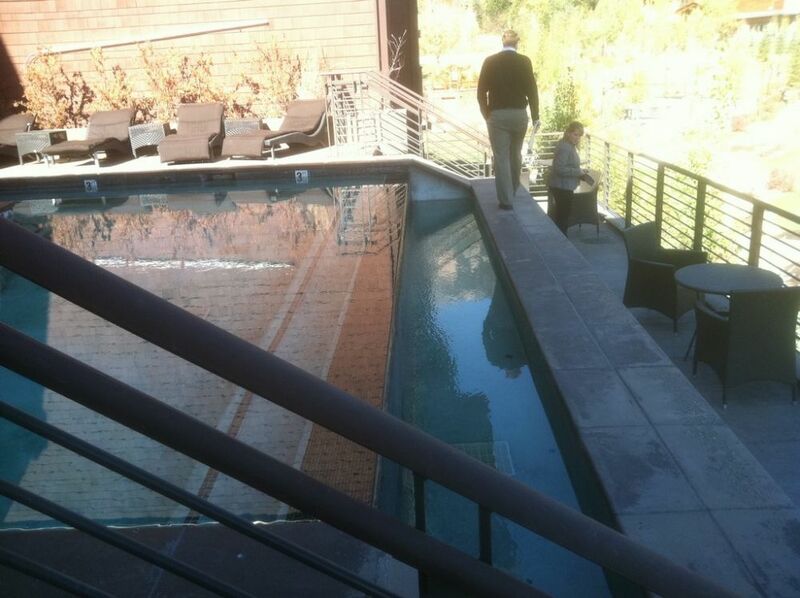 It was accompanied by an elevated spa and featured a long, shallow reflecting pool. Given the irregular geometric contours, the pools and spa had been constructed with several expansion joints. The whole assembly was placed over the equipment room and a finished garage as well as a finished living space. Per specifications, the pools and spa had been underlain by a geotextile drainage composite, with foam insulation included as a separation layer. Just after completion, these rooftop watershapes looked fantastic and the view couldn’t be beat (left). But problems were apparent in the construction phase, with a wholly inadequate reinforcing-steel schedule and the fact that the geotextile had been placed over a completely flat slab that failed to direct water to the drain inlet (right). As it turned out, however, the waterproofing of the structural slab was insufficient; moreover, the slab was flat and had not been overlaid with a grout layer to create a slope to the drain inlet, so when the geotextile drainage composite was laid atop it, any water that might accumulate there was not being directed toward the inlet. Completing what was already a bad picture, the pool’s structure was under-reinforced, and it certainly didn’t help that the required expansion joints had been improperly installed. The upshot of all of this was that, before long, stress cracks developed in the pool walls as a result of differential structural loading and the thermal expansion and contraction that resulted from a western exposure on a sunny rooftop. The expansion joints eventually split open. 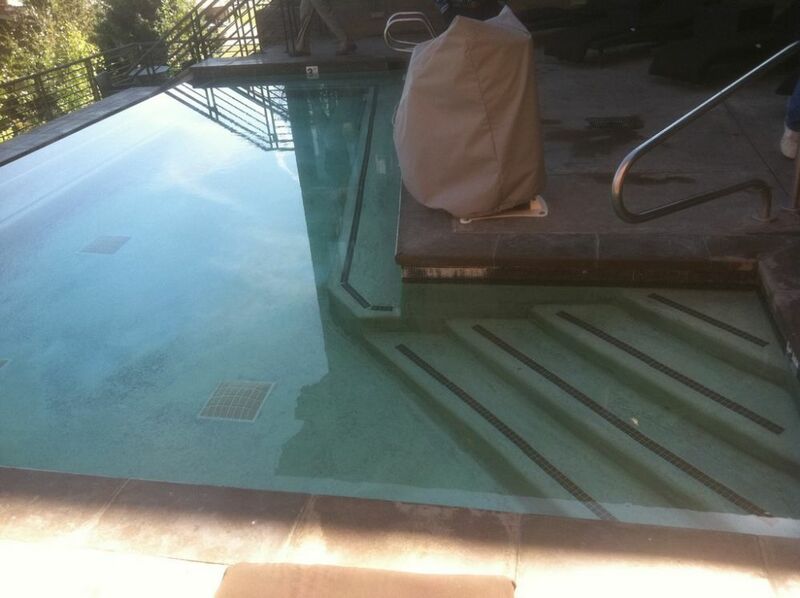 So now the pool leaked freely, but the water collecting in the drainage layer had no ready means of safe egress. This resulted in development of a multitude of pathways along which the water moved; before long, those paths manifested themselves inside the home and on exterior walls – and the damage was significant: Efflorescence developed in the exterior foundation walls; tile inside the pool delaminated due to structural pressure; and the leak water flowed into interior spaces, resulting in flooding, an outbreak of mold and damage to drywall and paint. The results of the construction defects were disastrous: The watershapes were soon marred by efflorescence and tile delamination (left); leaks inside the residence began damaging paint and drywall and affecting interior utilities (middle left and middle right); and the outside of the home showed various signs of water damage, from efflorescence to structural cracking and rust (right). Unlike the Wyoming spa discussed above, there was no stopping this particular legal juggernaut: For want of good engineering and construction practices, the watershapes were demolished and removed and nobody involved in the project escaped without taking a significant financial hit. In both of these case studies, the approaches followed conventional lines, and the elevated pools were constructed inside a concrete vault (Case #1) or supported on a concrete structural slab (Case #2). In the first narrative, the spa contractor had done well in following the engineering plans, but those efforts were undermined when mistakes were made by other contractors. There are lessons about diligent follow-through that might be learned here, but the fact is that the spa system performed as designed and would have required no more than a simple service call to address a small, well-contained leak that developed after a period of years. In the second, the situation was completely different: The vanishing-edge pool, elevated spa and shallow reflecting pool were doomed to failure because the design team paid little or no attention to the stresses that would be applied to the watershapes as a result of the asymetrical way in which they were supported. The support system had been installed without the pool contractor’s participation, but any contractor approaching a project of this nature and magnitude should go in with eyes wide open and an engineer at his or her side. These systems will end up being the responsibility of many contractors and subcontractors, but the one who puts the water on top of it all has a special role, a higher profile and, as a professional watershaper, a sublime responsibility to get everything just right. Rob Holmer, PE, is principal engineer with Neil O. Anderson and Associates, a Terracon Company. Based in Sacramento, Calif., he has served as the engineer of record for the successful construction of more than 30,000 residential and 500 commercial swimming pools, specializing in large residential and commercial facilities, competition pools, public and private recreation facilities and waterparks. Holmer’s engineering-consultation expertise includes structural and geotechnical details as well as mechanical systems, hydraulics, water treatment, materials engineering, risk management and code compliance. He also serves as an expert witness in litigation. He holds bachelor’s and master’s degrees in civil engineering and is licensed to practice in ten states. We at Gibbons Pools have a design consulting firm apart from our construction side. We have many designs for roof top pools. The waterproofing manufacturers will not stand behind their product as soon as there is a failure. Our insurance company will not cover us on any roof top if constructed out of gunite -- steel pools only! Gibbons has an issue with this. We know how to build the most up to date construction practices. Anyone can put a steel pool in. We work weekly trying to provide the proper waterproofing designs. 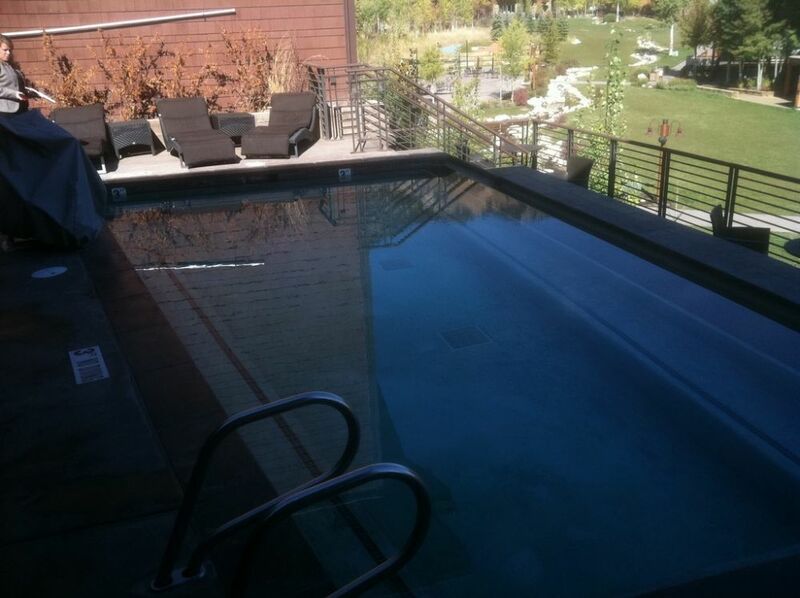 We build a lot of pools & spas at podium levels here in Phoenix, AZ. I learned a lot from your articles and enjoyed reading them. will be sharing these. Keep up the good, helping us builders create well constructed long lasting pools. Thank you.